The latest of a series of official Canadian verbal darts aimed at Russian President Vladimir Putin was published December 15 on BuzzFeed. The content was propaganda or as BuzzFeed would have it, advertorial. It was part of a Department of Foreign Affairs, Trade and Development (DFATD) campaign surrounding Stephen Harper’s announcement of new sanctions against Russia, which, no surprise, coincided with updated sanctions from Washington. On December 16 headlines read ”Ruble Routed.” The impression re-enforced was that Russia faced severe financial problems, and that investor support for its economy was sliding. The ultimate U.S. objective of forcing regime change in Russia through economic sanctions aimed at limiting its influence in Ukraine seemed to be on track. The Russian ruble had been falling in value against the U.S. dollar. It fell as much as 11 per cent on Dec. 16. Speculators borrowed rubles in the morning and sold them for dollars immediately. At the end of that day, the rubles were bought back for 11 per cent less, the loan repaid, and the speculators picks up an 11 per cent profit in one day, just short of 4,000 per cent if it could be sustained for a year. Later last week, and again to start the week of December 22, the ruble has been gaining ground against the dollar. The engineer of the turnaround is Ms. Elvira Nabiullina, Governor of the Bank of Russia, the first woman to head a G8 central bank, and formerly economic adviser to Putin. By defeating attempts to drive its currency down, the Russian Central Bank had executed a procedure known as a “bear squeeze,” the bears being those who believed the ruble would fall in value. Feeding this belief was major misinformation, and misunderstanding of the Russian economic and financial situation. While an almost 50 per cent decline in the price of oil has hurt Russian export earnings, the even greater fall in the value of the ruble has meant that the ruble value of the oil exports has not declined. Russia has a favourable balance of trade and healthy foreign exchange reserves. Its overseas assets exceed its overseas debts. Contrary to reports from even American liberals such as Paul Krugman, Russia is well placed to meet its overseas payments, as French specialist Jacques Sapir has shown. The Russian economy grew on average by nearly seven per cent per year from 1999-2008 (Putin took power in 2000) before it tanked in the world financial crisis of 2008. While U.S. and Eurozone (except Germany) economic growth remained about zero from 2008 until 2013, Russia grew slowly in that period. Importantly, in 2014 the level of Russian government debt is small at 16 per cent of GDP, especially when compared to other industrial countries such as France or the U.K., where it is over 90 per cent. Russian corporate debt especially in banking and in the oil and gas sector has grown and because these companies are tied to the Russian state their operations remains vulnerable to Western sanctions. Russia is attempting to divert its purchases of foodstuffs to non-Western countries and wants to adopt an aggressive import substitution policy for manufacturing. Instead of importing manufacturing goods it wants foreign manufactures to re-locate to Russia and produce for the large domestic market. Russia is a nuclear power. In another era, when Canada practiced diplomacy, the goal would have been to reduce tensions between the U.S. and the Russian bear. Today, as DFATD resorts to BuzzFeed, shows the Conservatives eschew foreign policy as such, preferring to promote themselves as pro-American or pro-Ukrainian with the voting public. An experienced observer, Patrick Armstrong, former political counsellor at the Canadian Embassy in Moscow, has serious concerns with NATO policy, but foreign policy distinctions do not trouble Foreign Minister Baird or the Prime Minister. The oafs are in charge in Ottawa. Russia identifies NATO as its biggest military threat | Al Jazeera America. This young Ukrainian fella poses some solid queries which go right to the core of US interference in the affairs of others. Were the Ukrainian people’s gold reserves surrendered to the NY bankers as he hypothesizes? On Jugend-TV, a website that provides a stage for juveniles to present news, 17 year old Michael from Switzerland explains how the US took the sovereign gold reserves of the Ukraine in the turmoil that erupted after president Yanukovich had resigned. Hello everybody, welcome to Jugend-TV. We will be discussing the secret transportation of the Ukrainian gold reserves to the USA. 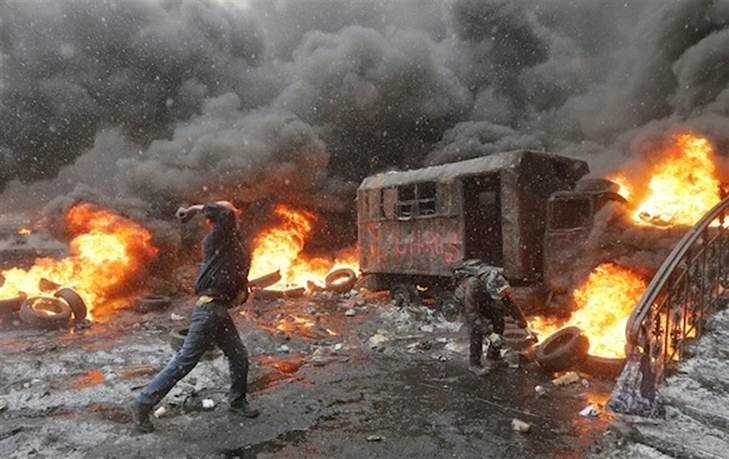 As one is told every day, there is great unrest in the Ukraine. It all started when the media blamed the former president Yanukovych of mass murder. He fled because of these accusations. The open spot was taken by a new government, but not democratically, like the former president Yankovych. The new regime simply chose itself as the new government. At night, the reserves were flown to the USA. The gold was hastily loaded from trucks onto a plane. The trucks had no registration plates, and the men who performed the loading were dressed in black and were armed! The plane with the valuable cargo then took off from the northern runway. The Ukraine’s gold reserves weigh in at 42.3 tonnes, and are worth 1.3 billion Euros. A leading figure of the former ministry of finance has confirmed that this transport actually took place. It all sounds very much like a crime, since the men performing the loading had to be armed, the trucks were not allowed to be recognized and the plane took off from the northern runway. One wonders who the people in the new regime in Kiev are, and do the Ukrainian citizens really want a government that simply gives away national assets? I believe that if the gold had been transported to the Russian capital, Moscow, there would have been a huge uproar from the mass media. Now that the gold has been brought to the USA, nobody utters a word, and it is precisely therefore that we report on the topic, so that these things are brought to light. Many thanks for spreading our news further! 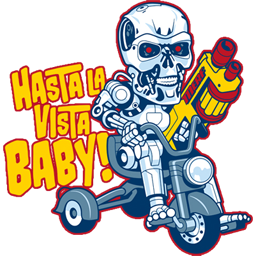 Ciao, have a good one! Another effect of sanctions is that Russia will grow closer to its BRICS (Brazil/Russia/India/China/South Africa) allies. These countries count over 40 percent of the world’s population, have a combined economic output almost equal to the US and EU, and have significant natural resources at their disposal. Russia is one of the world’s largest oil producers and supplies Europe with a large percent of its natural gas. Brazil has the second-largest industrial The Ron Paul Institute for Peace and Prosperity : sector in the Americas and is the world’s largest exporter of ethanol. China is rich in mineral resources and is the world’s largest food producer. 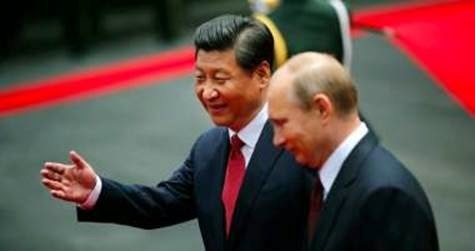 Already Russia and China are signing agreements to conduct their bilateral trade with their own national currencies rather than with the dollar, a trend which, if it spreads, will continue to erode the dollar’s position in international trade. Perhaps more importantly, China, Russia, and South Africa together produce nearly 40 percent of the world’s gold, which could play a role if the BRICS countries decide to establish a gold-backed currency to challenge the dollar. The US government has always relied on the cooperation of other countries to maintain the dollar’s preeminent position. But international patience is wearing thin, especially as the carrot-and-stick approach of recent decades has become all stick and no carrot. If President Obama and his successors continue with their heavy-handed approach of levying sanctions against every country that does something US policymakers don’t like, it will only lead to more countries shunning the dollar and accelerating the dollar’s slide into irrelevance. Following the apparent ‘vanishing act’ of Malaysian Airlines flight MH370, many investigators and researchers began to question the likelihood of such an event happening in today’s high-tech world. At 21WIRE, we’ve also looked into the unprecedented disappearance of MH370 and the subsequent downing of MH17, as certain details have come to light regarding the history of the autopilot function within Boeing commercial airliners, seemingly opening the door to the events of 9/11…The Boeing 777 along with other Boeing models, can in fact be flown remotely through the use of independent embedded software and satellite communication. Once this advanced system is engaged, it can disallow any pilot or potential hijacker from controlling a plane, as the rooted setup uses digital signals that communicate with air traffic control, satellite links, as well as other government entities for the remainder of a flight’s journey. Uninterruptible flight controlOn December 4th of 2006, it was announced that Boeing had won a patent on an uninterruptible autopilot system for use in commercial aircraft. This was the first public acknowledgment by Boeing about the existence of such an autopilot system. Fulford is far from alone in his fault-finding. Journalists from both political camps have been critical of the President of late. Arch neoconservative Charles Krauthammer called Obama’s comments on the downed Malaysia Airlines jetliner “passive” and demonstrative of a governing philosophy of disinterest. James Kirchick – the token leftist warmonger who takes great pleasure in American might displayed abroad – demanded it’s finally time for “the West to stand up to Putin” starting with U.S.-backing of the Ukrainian military. Even after the world community of nations watched US envoy Victoria Nuland show up in the Ukraine with the explicit purpose of fomenting a coup d’etat, the Ukrainian president seems powerless to stop its momentum. Such is the profound and pervasive power that the CIA, NSA, DIA and US State Department exert around the globe. Even with the countless alternative news websites on the internet exposing US-UK-EU crimes against other nations, do they proceed with starting civil wars without impediment. How can this be so in an age when the people have steadily taken back their power from the aforementioned alphabet soup agencies that seemingly run their covert, black budgeted operations anytime they choose to? ANSWER: These US agencies and their European counterparts, when colluding to trigger a revolution for the purposes of regime change, have so finely tuned the implementation of the HEGELIAN DIALECTIC that they are still virtually unstoppable. This continuing predicament is possible only because the people, who are victims of the relentless mind control programming which accompanies these color revolutions, are vulnerable. They have been made vulnerable by a panoply of techniques and measures which the secret services have employed since time immemorial. Only now their strategies are more sophisticated, more stealthy, more imperceptible by the average citizen. How is it that a large national constituency can be so influenced that they will vote or revolt, sacrifice or rebel in a manner that is clearly against their best interest? The answer is quite simple, as the Ukraine conflagration vividly illustrates. The CIA et al has for years surreptitiously built their network and cultivated their contacts throughout the western half of the Ukraine. Knowing that the eastern half would always lean toward Russia because of proximity and cultural ties, they knew they only had to control the eastern side of the equation. And so they did. And so they have up to this very day. This state of affairs eventually permitted the CIA et al to utilize their “Divide and Conquer” strategy with awesome effect. Once the two sides are fighting with each other, as they are now, it just a matter of execution. 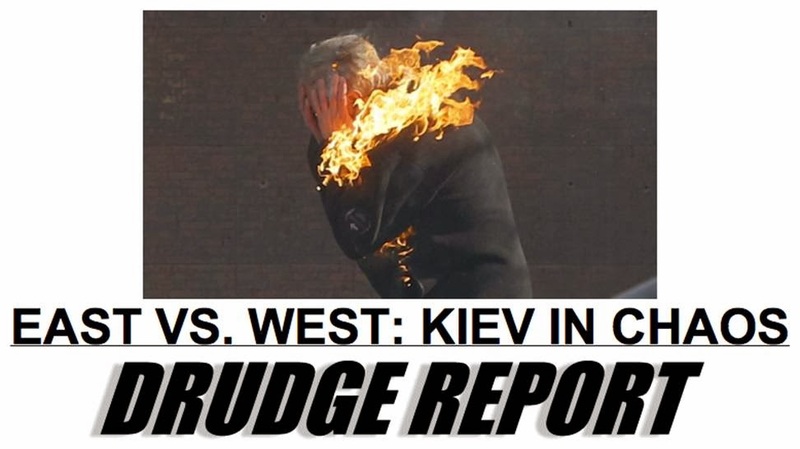 Isn’t this exactly what we are witnessing in Kiev. And, in the other major cites throughout the Ukraine where they CIA et al. are effectively exporting the same strategy and violent tactics. This divide and conquer MO is absolutely essential to the whole color revolution dynamic because it allows them to invoke “plausible deniability” whenever the Russians rightfully accuse the CIA et al. of implementing a classic CIA-coordinated coup d’etat. As long as enough Ukrainians step up to the plate to sacrifice life and limb for the US-UK-EU cause, there’s no blame to rub off on John Kerry, or Victoria Nuland, or Barack Obama. In reality, all three of these characters are directly responsible for yet another crime against a nation in which innocent civilians are used as pawns and sometimes killed. When will the American people wake up to this fact of life? How many more large and small genocides must the community of nations watch before they collectively respond to terminate this criminal behavior by governments? Is this really just state-sponsored terrorism?! What Walesa is really trying to say is that the EU stands to make that much money by controlling the Ukraine markets, natural resources, export/import channels, transportation network, oil and gas conduits, and political apparatus once they join the European Union. These are, after all, the immediate and stated goals of the EU representatives who have weighed in on the matter. And they are determined not to let Russia interfere with their plans, no matter what the level of chaos or death toll required to attain it. The Ukrainian opposition has resorted to violence rarely seen in Kiev. Herein lies the root cause of the current mayhem being sewn throughout the Ukrainian People’s Republic. The catalyst for the extraordinarily violent confrontation between the opposition and the current administration is the viability of the European Union itself. The EU has been so decimated by years of deep recession and national bankruptcies throughout the PIIGS nations that they desperately need a fresh market to exploit. The Ukraine provides just that, and much more. Unfortunately, this excerpt spells out the formidable macroeconomic forces at work in this unfolding national cataclysm. The EU is like a pit bull that has tasted a little blood and will simply not let go. Their outright and aggressive interference in Kiev is so bold that it graphically betrays their true intentions. Quite frankly, rarely has anyone ever seen US gunboat diplomacy so naked and bold. Working in concert with the EU, the US (especially the FED) knows that its fortunes (and solvency) depend greatly on the future prospects of the Eurozone. Many now wonder whether Russia can contain such a rabid dog, especially when so much is at stake for their largest neighbor and ex-Soviet trading partner. — Ferenc Kunszabó, editor, Hunnia magazine (Budapest). 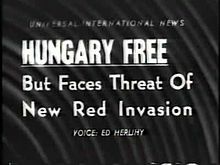 What happened in Hungary in October 1956 was not a revolution but an insurrection. It was an uprising. When it began it was spontaneous and leaderless, and it was truly a movement of the masses bound by one common hatred of the old regime. Yet it was an anti-Communist uprising like no other. Many of the rebels held Party membership cards. Most were workers or peasants. The uncanny feature was that it resembled the classic Marxist revolution, it was fed by conditions which Karl Marx had always predicted would result in revolution, and it was led by the workers, the very stratum which he had expected would take the revolutionary lead. The parallels with what happened in Poland in the late summer of 1980 are striking; the exception is that this summer the workers were subdued by blandishments and promises of reform, while in past decades the Marxist governments have invariably turned their machine guns on the workers from whom they villainously claim to draw their mandate. 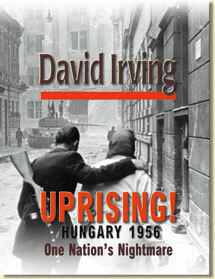 The Hungarian uprising of 1956 was crushed by a man who became instantly one of the most reviled men in his country. That same man is today one of Hungary’s most genuinely popular citizens, János Kádár. His life has sprung many contradictions, which cannot only be explained by his subservience to Moscow’s fickle whim. Initially, he identified himself with the uprising, served in its government, and referred to its origins even one month later, in a broadcast on November 26th, as a “mass movement”; but by February 2nd he had shifted to harder ground, and declaimed to Party activists at Salgótarján, “A counter-revolution began in Hungary on October 23rd, 1956, in exactly the same way as it did on August 2nd, 1919.” He put the country through a period of savage repression, which culminated in the execution of the (other) “accomplices of Imre Nagy” in 1959. 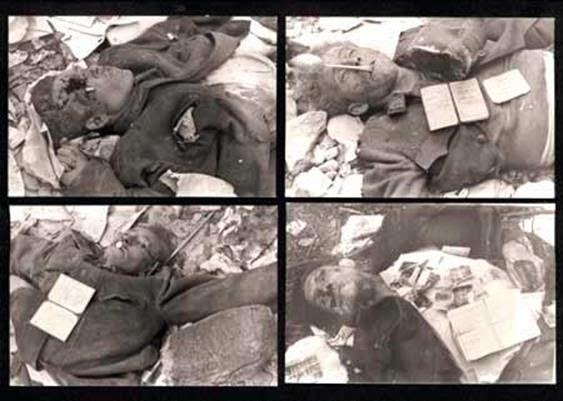 By that time, in fact, such a barbarity was quite superfluous, because the storm’s force was long spent: his subjects had finally accepted that there was to be no escape from the Soviet empire, that the Western powers had written them off and that they must make the best life they could for themselves under Marxist bureaucratic rule. Kádár played his part in this, declaring as his aim in the early 1960s, “We must win over every section of our people for the reconstruction of our country.” The Party’s monopoly on high office was abolished. Once, he told workers at the Ikarus omnibus plant in Budapest, “The West attacks us because of our one-party system. They are right. We Communists must work as though there was a twenty-party system, with a secret general election every day. That’s the only way to win popular support.” He made a clean sweep of a quarter of the Party funkcionáriusok — the “funkies” — for incompetence, and in 1962 he dismissed twenty-five former Party hardliners from the membership and began the rehabilitation of 190 victims of the Rákosi years. That year the Party published a declaration squaring up to the blame for the uprising. (Dr. Peter Rényi, editor of the Party newspaper, Népszabadság, and a close friend of Kádár, warned me: “But you will never, ever get to see the document on which it was based”.) The Central Committee ordered, “The criterium of a person’s social origin was a necessary tool in this last epoch. But today expert knowledge and competence are the only basis for assessing any person’s qualifications for offices and functions.” More important, Kádár’s party adopted a policy of ideological laissez-faire: “Anybody who is not against us, must be for us,” he said. In 1963 the last street-level participants in the uprising were amnestied. In 1970, the ministry of the interior gave notice that the police were no longer to act as “ideological watchdogs”, and nowadays most Hungarians are freely able to obtain passports and visas to travel to the West. In short, but for János Kádár as leader Communist Hungary’s lot could have been worse. True, but for Communism the country’s lot would have been much better. But the Marxist leaders are the first to deny this; there are none so blind as those who won’t see. A few months ago I recorded a long interview with the widow of Dr. Francis Münnich, Kádár’s chief executive in crushing the uprising, and subsequently, Hungary’s prime minister for many years. After two hours the widow pointed baffled at my midget recorder and asked if I should not long ago have changed the tapes or batteries. (She was only familiar with the Soviet bloc products.) She, and all the people like her, have been so thoroughly duped by the Marxist swindle that they are incapable of grasping that other systems — and in particular the capitalist system, with its handy profit-motive — work far better. Even after sixty years of full-scale experiment with entire nations, Marxism has never once succeeded, yet the swindle is still perpetrated in country after country . More and more gullible and unwary folk fall prey to its allures, like the citizens who innocently believe the crafty inventor who claims to have perfected a motor engine that runs on water. All human experience is against it. Scientists unanimously predict that it will not work. In country after country, the Marxist water engine fails to fire, but the inventor and his mechanics are growing richer and so the fraud continues. Each time the miserable passengers protest, their tormentors adopt knowing grins, and dismiss a prominent funky or even two: in effect, they have just changed the offside front wheel, to camouflage the fact that their whole scientific premise is unsound. Meanwhile they continue to sing its praises, because they know the fate of those who “deviate”. There is no justice in socialist legality. As Budapest’s own police chief during the uprising, Alexander Kopácsi, told me: “Which man is prosecutor, and which man stands in the dock, is purely a matter of casting.” Or, as his fellow Hungarians used to have it: “We are a three-class society: those who have been there, those who are there, and those who are heading there.” By “there”, they meant prison. 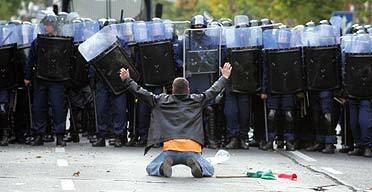 This sense of public grievance, of impotence at the hands of the funkies, powered the initial phases of the uprising. It is important to note that economic factors were not among the primary roots of the revolt. Economic plight created despair, resentment, apathy and hatred; but it did not create that unity and that revolutionary spirit which came to be the key to the crystallization, outbreak, and initial victory of the revolt. As in past instances of popular uprising through nine centuries of the national existence of the Hungarians, the ingredients of decisive importance were political and emotional in nature. It is also to be observed that no revolution had ever taken place in Hungary except at times when the weakening of the power center became evident and simultaneously some prospect or illusion of outside assistance emerged. In 1955-56, both the outer (Soviet) and the inner (Hungarian Communist) power center showed unmistakable signs of major weakening. Moreover, events within the orbit and pronouncements by Western statesmen — always adjusted by Hungarians to conform to their innermost desires — created illusions of prospects of practical outside assistance. Having studied the origins of the Hungarian uprising of 1956, 1 turned to a field of no less importance: the reactions of the Western powers and United Nations. How was it that Dwight D. Eisenhower, despite his frequent campaign promises in 1952 to liberate the Soviet satellite nations, offered nothing beyond pious expressions of his nation’s sympathy when the uprising began? What was the role played by Radio Free Europe and similar CIA-financed transmitters? Why did the US delegate at the United Nations deliberately delay UN action? Most importantly, perhaps, the agreement sidelines the U.S. dollar, which has served as the global reserve since the end of World War II. At first, America’s currency obtained the role by default, maintained largely because it was backed by gold as much of the world lay in ruins. Following then-President Nixon’s final severing of the remaining tenuous link to precious metals, the dollar remained on top because energy supplies around the world were priced in dollars — the so-called “petrodollar.” While the status quo has offered some temporary “benefits” to the United States, allowing it to export fiat currency in exchange for goods and services, for example, the biggest downsides of the system appear to be approaching quickly.